In celebration of Father’s Day, the Sears Blue Tool Crew is rewarding dads who are making a difference in their community through DIY projects. 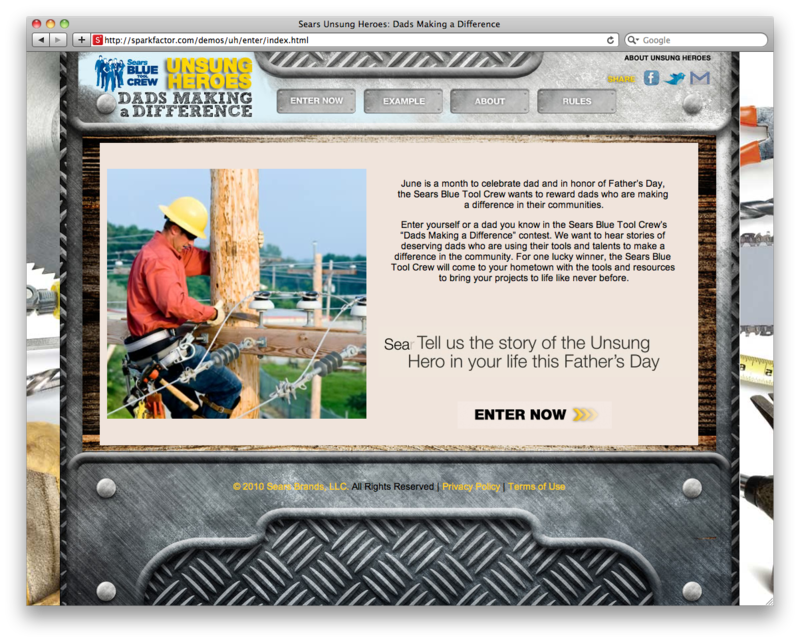 Sparkfactor developed this site where a child or person could enter a deserving dad (through an essay upload) into the “Dads Making a Difference” contest and telling about the hometown project they are involved in that needs completion or fixing up. One lucky dad was selected to have the Sears Blue Tool Crew help bring the project to life.